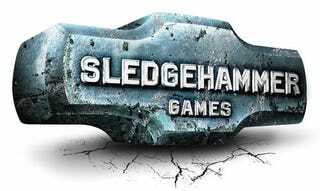 Activision's newest studio, Sledgehammer Games, founded by original Dead Space creators Glen Schofield and Michael Condrey, has been made extra official today, with the launch of the start up developer's web site. While there's not much meat to it yet—no game announcements buried within—job listings offer some clues to what Sledgehammer is working on. It's most likely going to be a shooter with online multiplayer—hey, just like Dead Space 2!—if you can possibly wrap your brain around that concept. Open job listings are looking for level designers with a "serious passion for shooters, console or PC" and online/multiplayer designers to do... online multiplayer design type stuff. So, yes, Sledgehammer is hiring, something you should take note of if you've recently been laid off elsewhere. Given the ex-Visceral Games pedigrees at Sledgehammer, we'll be keeping an eye on whatever they're working on.